Who Is Willing to Ride Your Bicycle? The year was 1968. I was fresh on the college campus staying in Newberry Dorm, and realized that without transportation there was a lot of time spent walking just to get basic things done on campus and around town. 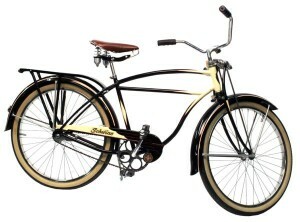 I remembered my black Schwinn bicycle that had carried me many a mile up and down the roads around Poyen, AR. Nobody was riding bicycles on campus, but that was OK, it seemed like a good idea to me. So I got that bike and started riding it around campus and around town. It was a joy to have the freedom and ability to move around town with ease to help meet the time demands of a busy campus experience. I would chain it to the stair well in the basement of the dorm, and one day as I went to get it, I noticed a rank odor and some gooey, gunky stuff plastered all over it. I cleaned it up, but that was not the last time it happened. In fact, it elevated to being more severe. I guess somebody resented or was jealous of me riding my bicycle. I didn’t know by stepping out of the ordinary, the next year there would be lots of bicycles being ridden on campus, with the school eventually providing bicycle racks around campus in which to secure them. Jesus let us know that to really follow him and be a true learner of him, we must step beyond fashionable Christianity to being fire-filled in our commitment to him. Great multitudes followed him and he turned to them and told them that if any person comes to him and does not “hate” his closest relationships and his own life also, we cannot be his disciple. Plus, we must be willing to bear our cross which speaks of death to our own agenda (Luke 14). It is that kind of teaching which might help explain why out of three and a half years of ministry to multitudes of people, only about 120 people showed up in Acts 1 for the day of Pentecost. But, these were the people who, by their commitment to Jesus above all other commitments, carried the church into the rest of the age, with persecution. These were the people who simply got on their bikes and started riding and brought in a whole new dimension of fire-filled Christianity to the world through their love for Jesus Christ. Who is willing to just start riding your bicycle and possibly start a whole new trend on this campus called Our World Outreach?